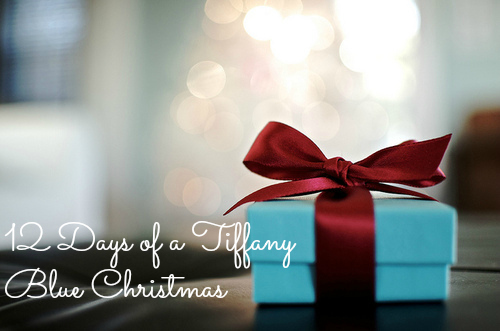 On the 10th Day of a Tiffany Blue Christmas, we’re talking the gift you’re most thankful for that you’ve received on a Christmas past. Everyone has that gift. The family heirloom. The heartfelt homemade gift that left you in tears. 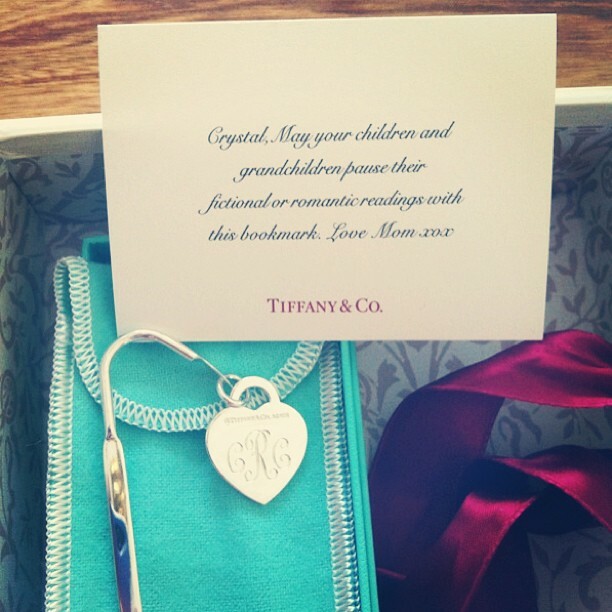 Every year, there is always a gift or two that leaves me speechless – last year, it was my gorgeous, monogrammed Tiffany & Co. bookmark from my mother, who sneakishly told me not to expect anything from Tiffany & Co. Needless to say, it was the most incredible surprise. Then of course, there was my amazing hand-painted Bella ornament (as shown here) and my German Pyramid (a la Griswolds) from Dad that was a total surprise. But, when asked what my favorite gift I’ve ever received at Christmas is – the answer is simple. 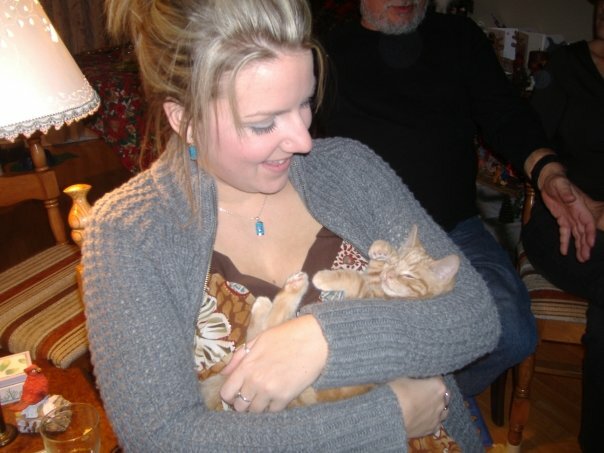 The year my mom kidnapped me and took me to the SPCA to pick out a new friend – my cat Bella. It was a Christmas gift that has brought more joy and love into my life than I could have ever imagined. The new collar she never wore. WHY do they not stay that small forever? Now that I’ve officially gotten all misty-eyed looking at pics of baby Bella – I’m looking at all of you! What is your favorite gift you’ve ever received at Christmas!? Let me know in the comments below OR join in on the fun on Instagram by posting your answer along with the hashtag #12daysofaTBChristmas! Tomorrow is Christmas Eve! And I’ll be sharing my Favorite Christmas Eve tradition! Until then – I hope you are all getting close to being ready for Christmas and are enjoying some time with family and friends! 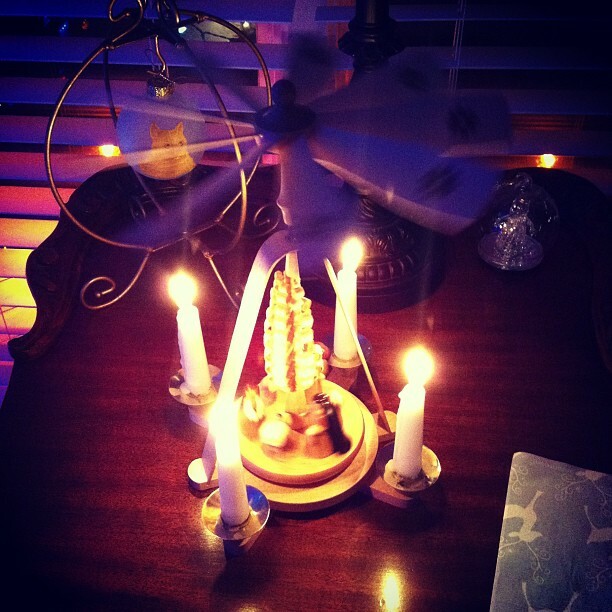 my sweetie is a terrible gift -giver…at least, he seems that way and then he explains them to you. Our first Christmas together he handed me an envelope. Excitedly, I opened and found…a credit card. “Um, thanks?” I said, but inside I was screaming at such a terrible gift, I mean, who would actually use someone else’s credit card? Yep, I’m a capricorn. Then he took my hand and said.,something like “I know you’re in university and you have a pretty tight budget. I hate that I live two provinces away and can’t take you out when you really need it. But this way, when you really need a break or just a treat, I least I can still take you out.” Which was so sweet and thoughtful of him it ended up being the best present whenever I look back now (even if my capricorn-ness never let me use it more than once or twice). That is seriously the sweetest. I just got misty eyed. I love it.